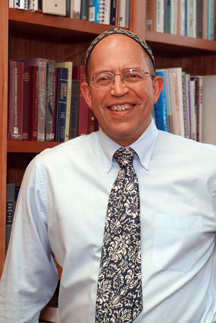 Rabbi Jonathan Kligler has served as the spiritual leader of Kehillat Lev Shalem, the Woodstock Jewish Congregation, since 1988, with a brief hiatus during 2014–15 during which he founded the Lev Shalem Institute, the adult education institute of the WJC. Over these years Rabbi Jonathan, as he is called, has overseen the growth of the congregation from a small once-a-month gathering into a thriving Jewish community with 350 member families and thousands of friends and supporters. The synagogue is known throughout the Hudson Valley of New York and beyond for its welcoming and heart-opening atmosphere, innovative and inspiring approach to religious practice, and great music. Kehillat Lev Shalem means The Congregation of a Full Heart, and Rabbi Jonathan has a gift for touching hearts and opening minds in an atmosphere of genuine respect. Rabbi Jonathan is an accomplished singer and folk guitarist. He has recorded a number of CDs, most recently Let My People Go: A Jewish and African American Celebration of Freedom, a collaboration with African American folksingers Kim and Reggie Harris, and On Holy Ground: Music of the High Holy Days at the Woodstock Jewish Congregation. He is also the author of Hineni: Essays and Commentaries from Twenty-Five Years on the Bimah, and he continues to write and teach widely. Rabbi Jonathan was ordained by the Reconstructionist Rabbinical College in 1989, and is a member of the Reconstructionist Rabbinical Association. In 2014 Rabbi Jonathan received an honorary Doctor of Divinity degree from his alma mater. Prior to his rabbinical training, Rabbi Jonathan was a professional dancer, mime and children's performer, with a focus on improvisation. He lives in Woodstock, New York with his wife Ellen Jahoda, a visual artist. They have two daughters, Timna and Nomi. 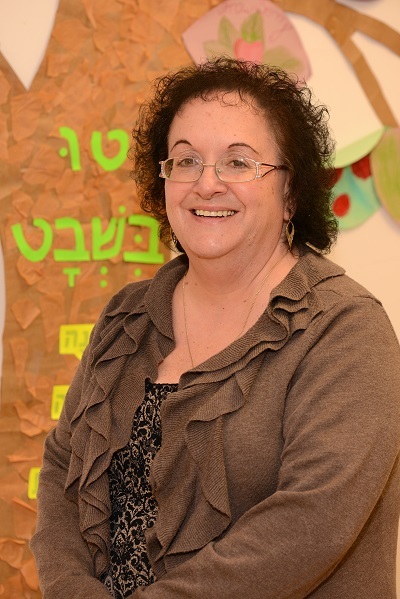 Dee Graziano has been involved with the Woodstock Jewish Congregation Family School for many years. In the past, she has served as a teacher and as chairperson of the Family School Committee, as well as a parent in the school. It is delightful to now have her serving on our staff in the position of Education Coordinator. Our school is called the Family School, and Family Education programs are integral to our community. Hebrew and Jewish Studies classes are offered for Pre-Kindergarten through teens, as well as Adult Education and Family Programming. For information about our Family School, Family Programming and/or registration materials, please contact Dee. Joyce DePietro is the Executive Assistant. Contact her at [email protected] or 845-679-2218 x3. Sherry Crescini is the synagogue's bookkeeper. Contact her at [email protected] or (845) 679-2218 x 4.